We work throughout London, the Home Counties and Southern England and are one of the premier providers of Driveways and Garden Paving construction in Berkshire, Hampshire, Middlesex, Surrey West Sussex and West London including all towns within a 30 mile radius of TW19 6HA. Customer satisfaction is paramount to TDS, we are happy to provide expert advice and free, no obligation quotations. There are so many reasons why you should choose TDS as your paving contractor, such as – our workmanship and products are guaranteed, our prices are very competitive and naturally we are fully insured. To get started please call us on 0800 0568 768 or visit our Paving Display Centre at Wraysbury Road, Staines. 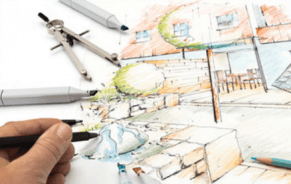 The outdoor area surrounding your home is the most prominent design feature that is seen by many people on a daily basis. You know better than anyone the look that you want for your driveway, garden and outside space. Professional driveway, paving and landscaping services like ours help you to plan and execute your dream look using our knowledge, skills and quality materials that are visually stunning as well as sturdy and reliable. Modern driveway design goes far beyond a simple paved strip. Techniques like Block Paving, Natural Stone Paving and Pattern Imprinted Concrete give your driveway a fresh look that you’ll be able to enjoy for many years to come. From the planning stages to the finishing touches, professional driveway designs offer your preferred style at a price that won’t break the bank. Both block paving and pattern imprinted concrete give you many design and colour options for the outdoor areas surrounding your home. With block paving, you get modern style and a sturdy surface perfect for parking you car or setting up outdoor furniture. Pattern imprinted concrete is a versatile way to incorporate a variety of colours and patterns into your driveway, patio or lounging area at a reduced price compared to block paving. 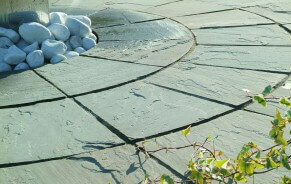 Other attractive paving options include unique natural stone paving with many types of stones available. 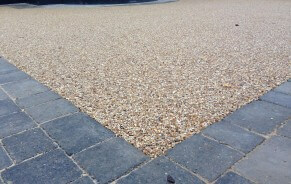 Exposed or resin bonded aggregate paving have the durability of concrete while being visually appealing. 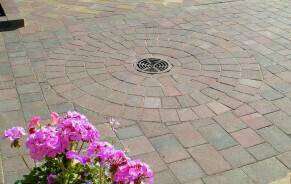 Permeable paving is an environmentally-friendly option that allows water to drain through the paved area. This controls runoff by keeping rainwater from pooling on your driveway instead of using additional drainage. 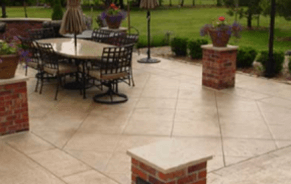 Feel free to browse our website for the many paving options that are available. Update your driveway, beautify your garden, change the landscape of your home, or simply add a few paved paths to create a new outdoor layout. Quality materials and craftsmanship along with professional design services work together to create exactly the look you want at competitive prices! Contact TDS Paving today to discuss your needs.